Do you work at Meadow Farm? Outside area with children's play area and mini soccer pitch. 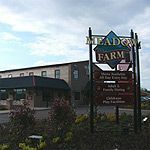 What did you think of Meadow Farm? You obviously work there and don't get out much. The food at this so called Pub is awful. Please avoid this establishment like the plague. 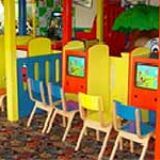 The food is very poor, totally inedible and caters for mainly Families that think a night out, is a visit to KFC. 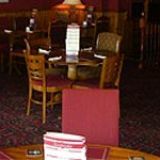 It's overpriced, has a poor decor and carries a number of staff, that would suit the interior of a greasy cafe. Just returned from Meadow Farm we made the mistake of not looking at the carvery before ordering. It was awful. 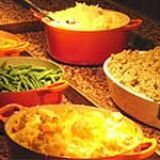 The vegetables were kept in bain maries so they were just a pile of mush, the mash looked and had the texture of wallpaper paste, the stuffing balls were so salty they were inedible and the gravy had no taste whatsover. I find it hard to comprehend how an eating establishment can manage to serve up food that doesn't taste of anything and not know how bad it is or don't care. I didn't go there expecting 5* food but I didn't expect to be served up a plate of inedible, bland crap that even a dog would turn its nose up at. I would suggest all the staff sit down and eat this stuff themselves and see how they like it!! Fabulous pub!! Separate adults only & family dining area.